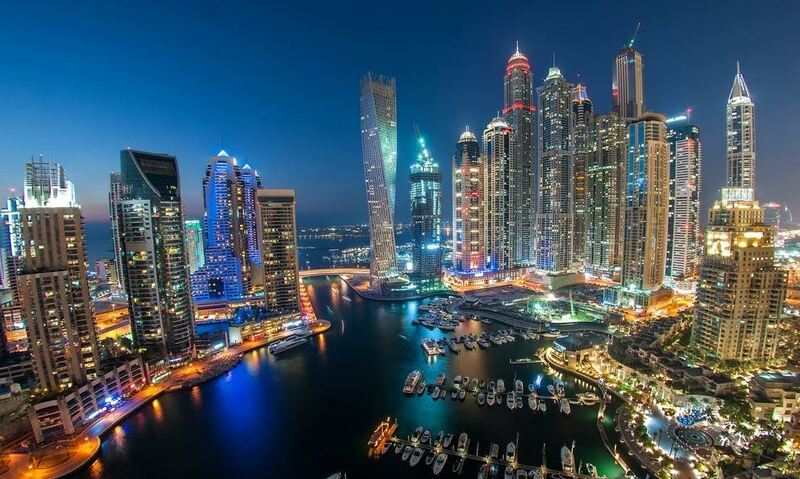 Dubai is a city surrounded by an aura of mystery that seems to promise unexpected pleasures of extreme luxury. It is a real fairytale land flowing with ‘milk and honey’ for the tourists that come here on vacation. It is much more than a beautiful city – it’s a unique experience. Dubai is home to pristine beaches, but can also offer tourists a memorable desert safari. One can visit the opulent palace of the sheikhs, but also Dubai’s well-documented museums. Oriental charm is to be found all over the place. As for activities, nobody ever gets bored in Dubai: from water sports to relaxing spas and cultural itineraries, the Arab emirate has it all. If you visit Dubai during the first few months of the year, you’ll catch the Shopping Festival, an event that has been held every year since 1996. To get an idea of its proportions, in 2009 3.35 million tourists wanted to shop here and they managed to spend the fabulous amount of 9.8 billion dirhams. The Dubai Shopping Festival has become the largest event of its kind in the world. In addition to tax free shopping, tourists can enjoy the most varied kinds of events here: from jazz concerts to circus performances. You can participate alongside the entire family in a cartoon show such as Pokemon, Tarzan, Casper, etc. Sports enthusiasts can participate in football tournaments, Russian ballet on ice, tennis and many more activities of the kind. Nice weather is guaranteed in Dubai and beaches await those willing to lie in the sun, get tanned and swim. You can expect to experience a wide range of water sports here, both at hotels and special centers, can go scuba diving or fishing and can spend the day in spectacular amusement parks, where aquatic and terrestrial attractions offer unforgettable memories. Camel racing is a specific activity that you also won’t want to miss. The experience is unique and you will see that the locals are just as excited as the visitors about this event. 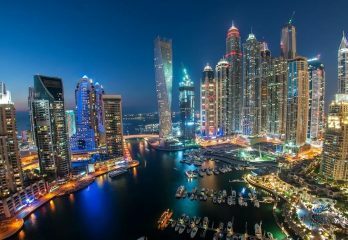 Any travel website about Dubai will tell you about Dubai Creek. It splits the heart of the city and its historic center. A walk alongside its banks evokes centuries of tradition. The best way to see the bay is to rent an “abra”, i.e. a water taxi and visit the Arab souks. Shindagha is the neighborhood where the first buildings were constructed in Dubai. Here stands the palace of Sheikh Saeed, the grandfather of the current governor, along with 30 other traditional houses. In order to experience the more modern side of Dubai, a destination that you have to include in your itinerary is Sheikh Zayed Boulevard, the main thoroughfare, along which lie modern buildings, with original shapes and full of creativity. To really get to know a place, you have to find out more about its faith. In Dubai, we recommend the Jumeirah Mosque, a magnificent example of contemporary architecture, the Great Mosque with the tallest minaret in the city, and the Iranian Mosque, a splendid mosque with a famous blue mosaic. Dare to remove the veil that covers the face of Dubai and discover all this city has to offer.